According to a number of reputable sources, iconic horror director Wes Craven died Sunday evening following an ongoing battle with brain cancer. He was 76 years old. Born August 2, 1939, in Cleveland, Ohio, Craven began his professional career in academia before taking a job as a sound editor for a post-production company based in New York. This change of scenery eventually attributed to his first credited feature, The Last House On The Left, which he wrote, directed, and edited in 1972. While this initial shocker was followed by a string of other notable titles (The People Under The Stairs, Swamp Thing), it was not until 1984’s A Nightmare On Elm Street that the horror maestro’s taste for the terrifying began to garner global recognition. Craven was still developing projects up until his death, including collaborations with SyFy Networks, UCP, and Federation Entertainment, and a five-issue comic series written with Steve Niles. If you frequent UTG regularly, then you are likely well aware of our love for the horror genre, which makes this particular passing one that is especially hard to stomach. 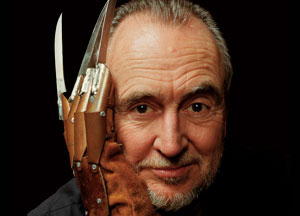 Craven was years ahead of his time in many different regards, and his wonderfully macabre mind will be missed dearly.